I wanted to try some new recipes using pumpkin ('tis the season! ), so what better way than to use my Magimix. Dice up the small pie pumpkin (remove the seeds, and cut off the stem). Place the diced up pumpkin pieces into the Magimix, cover, add the water, and pulse it until you get it to a thick paste like consistency. That's it! Super Easy. 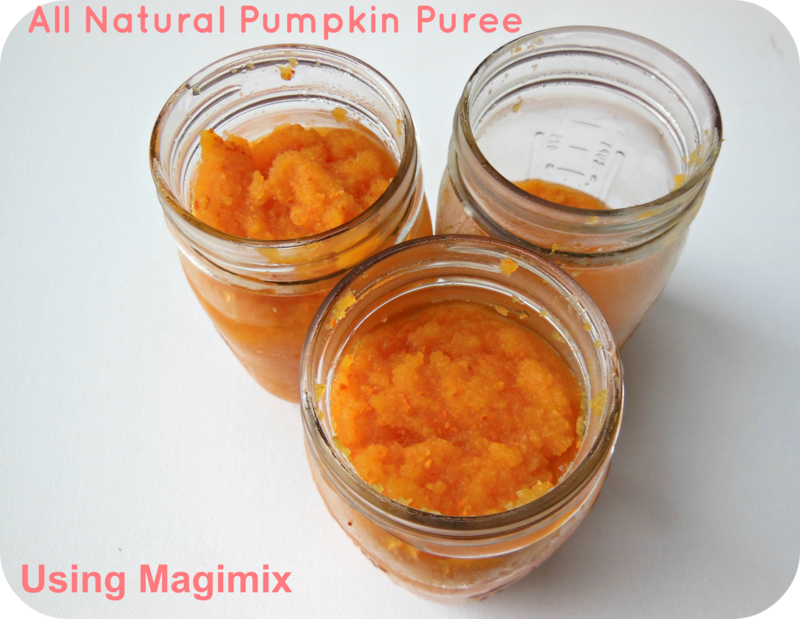 Have you tried making pumpkin puree before? I don't think I'll ever purchase the canned version again.